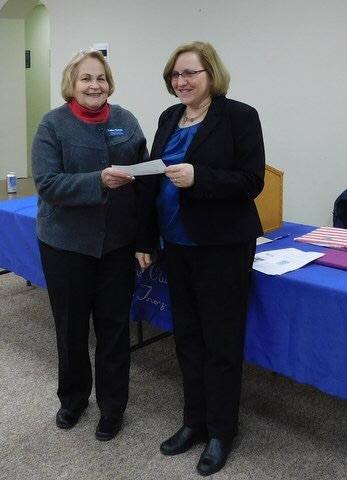 Jeanne Braham, from Jersey Battered Women’s Services (JBWS) was the guest speaker at the club’s February meeting. Domestic Violence Awareness and Prevention is the “Signature Project” of all Women’s Clubs. Members donated cleaning supplies, collected funds to purchase 12 baby monitors and gave a monetary donation to JBWS.